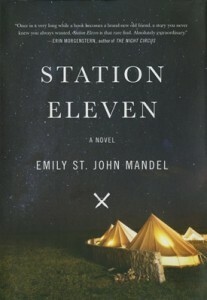 A big thank you to all of you who read or listened to “Station Eleven” by Emily St. John Mandel and joined us for one of this year’s outstanding One Read events. Over the past month we have explored the importance of art and community to survival. We have rediscovered Shakespeare. We have contemplated the end of the world and what comes after. As a community we have investigated the themes and topics in this book through discussions, lectures, films and art. We appreciate the hundreds of you who attended events and promoted this book to your book clubs, your coworkers and your families. Our sincere thanks to you for being a part of this year’s One Read! Have an idea for what one book our community should read next? Visit this site or any library branch in November to suggest a book for next year. For this year’s One Read art exhibit, we asked area artists to contribute works that explore the objects or relationships in our connected, complex and electrified world that we’d yearn for most if they were lost to us. 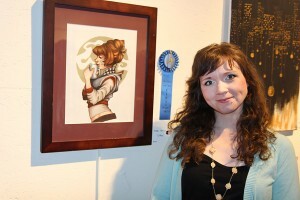 At the exhibit’s opening reception on September 15, the following winners and honorable mentions were announced. Congratulations to all!